We are engaged in offering Communication System that is used to imply transmission of messages to devices external to the message source. These systems are structured cabling solution, which defines data and telecommunication infrastructure such as cables, faceplates, patch panels, outlets and frames. Our Communication Systems are essential to build uniform premises distribution system that may also function for a multimedia. Further, to meet the specific requirements of our clients, we also offer customized solutions for our Communication System based on the specifications given by the clients. 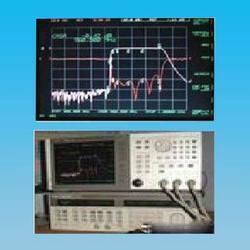 We specialize in offering a wide range of telecom equipment and associated components. These include Telecom Equipments, Telecom Antennas & Systems, Training Kits, Anechoic Chambers, Testing Antenna, Testing System and Satellite System / Broad Casting & RF Solution. Capitalizing on our technical expertise, we also undertake turnkey projects towards for our telecom equipment and associated components. Our turnkey services include designing, engineering, procurement and installation of the complete system package for the end use. For this, we are supported by efficient engineers and technicians to help us in designing, engineering and installing.